“But Jesus did not commit himself unto them, because he knew all. And needed not that any should testify of man; for he knew what was in man.” John 2:24-25. To know all is to be omniscient. Let us read the Apostle Peter’s words to the LORD Jesus, “And he (Peter) said unto Him, LORD Thou knowest all things.” John 21:17. Then woman at the well said to the LORD Jesus, “I know that Messiah cometh, which is called Christ: when he is come, he will tell us all things.” John 4:25. Note Christ’s reply, “...I that speak unto thee am he.” John 4:26. “But there are some of you that believe not. For Jesus knew from the beginning who they were that believed not, and who should betray him.” John 6:64. “For he knew who should betray him; therefore said he, Ye are not all clean.” John 13:11. “This is now the third time that Jesus showed himself to his disciples, after that he was risen from the dead. So when they had dined, Jesus saith to Simon Peter, Simon, son of Jonas, lovest thou me more than these? He saith unto him, Yea, LORD; thou knowest that I love thee, He saith unto him, Feed my lambs. He saith to him again the second time, Simon, son of Jonas, lovest thou me? He saith unto him, Yea LORD; thou knowest that I love thee. He saith unto him, Feed my sheep. He saith unto him the third time, Simon, son of Jonas, lovest thou me? Peter was grieved because he said unto him the third time, Lovest thou me? And he said unto him, LORD, thou knowest all things; thou knowest that I love thee. Jesus saith unto him, Feed my sheep.” John 21:14-17. Here the chief Shepherd was instructing one of His under-shepherds to feed and tend His lambs and to feed His sheep. The LORD’s Pastors are expected to feed the LORD’s sheep and lambs. Those who are Faithful in this will receive a crown of glory when the chief Shepherd shall appear. Then the shepherd has another duty; he is to keep the wolves out of the flock. “Take heed therefore unto yourselves, and to all the flock, over the which the Holy Ghost hath made you overseers, to feed the church of God, which he hath purchased with his own blood. For I know this, that after my departing shall grievous wolves enter in among you, not sparing the flock.” Acts 20:28-29. It’s a shame that MANY of today’s Pastors and Preachers are, in fact, the wolves! Now we see why He must needs go through Samaria. The Savior was wearied with His journey and He sat at noontime on Jacob’s well. “There cometh a woman of Samaria to draw water: Jesus saith unto her, Give me to drink.” John 4:7. The woman was surprised that Jesus should have asked her for a drink “for the Jews have no dealings with the Samaritans.” John 4:9, “Then saith the woman of Samaria unto him, ‘How is it that thou, being a Jew, askest drink of me, which am a woman of Samaria? for the Jews have no dealings with the Samaritans.’” Then the LORD Jesus talked to that poor sinful woman about water that would satisfy her soul. He called it “living water.” John 4:10. “’But whosoever drinketh of the water that I shall give him shall never thirst; but the water that I shall give him shall be in him a well of water springing up into everlasting life.’ The woman saith unto him, ‘Sir, give me this water, that I thirst not, neither come hither to draw.’” John 4:14-15. Here we think of 1 Timothy 1:15, “This is a Faithful saying, and worthy of all acceptation, that Christ Jesus came into the world to save sinners; of whom I am chief.” Note also Luke 19:10, “For the Son of man is come to seek and to save that which was lost.” The LORD Jesus Christ came to be the Shepherd seeking lost sheep. He came into the world to save sinners. Almost any person will say, “I am a sinner,” because all of us ARE sinners. But only the LORD Himself can convince the individual that he is not only a sinner, but a LOST sinner. The sinner will not be much concerned about salvation until he realizes that he is LOST. The LORD went right to that woman’s conscience after He had her interest and attention. He will now get right at her sin. “Jesus saith unto her, ‘Go, call thy husband, and come hither.’ The woman answered and said, ‘I have no husband.’ Jesus said unto her, ‘Thou hast well said, I have no husband: For thou hast had five husbands; and he whom thou now hast is not thy husband: in that saidst thou truly.’ The woman saith unto him, ‘Sir, I perceive that thou art a prophet.’” John 4:16-19. Another moment or two and she learned that she was in the presence of the Messiah, the Christ. In the days when Christ was here on earth there was a divi­sion among the people because of Jesus. 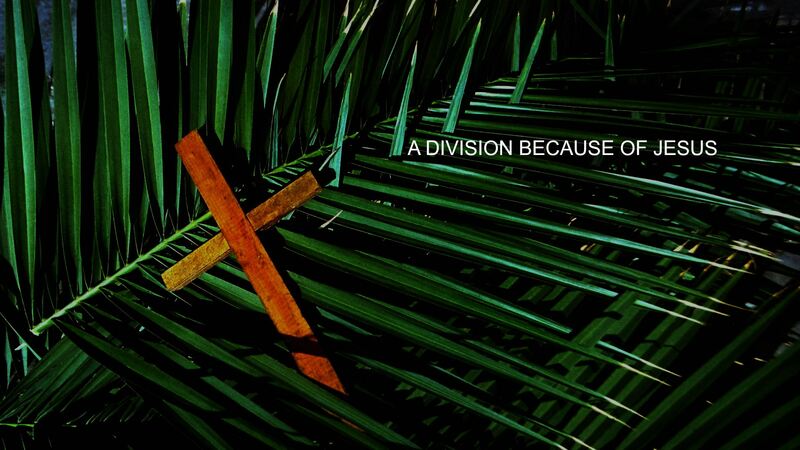 There was even a greater division after His death and resurrection in the days of the Apostles. There is a still greater division in the world today be­cause of Jesus. “Others said, This is the Christ. But some said, Shall Christ come out of Galilee? So there was a division among the people because of him.” John 7:41-43. “There was a division therefore again among the Jews for these sayings. And many of them said, He hath a devil, and is mad; why hear ye him? Others said, These are not the words of him that hath a devil. Can a devil open the eyes of the blind?” John 10:19-21. “Suppose ye that I am come to give peace on earth? I tell you, Nay; but rather division: For from henceforth there shall be five in one house divided, three against two, and two against three. The father shall be divided against the son, and the son against the father; the mother against the daughter, and the daughter against the mother; the mother in law against her daughter in law, and the daughter in law against her mother in law.” Luke 12:51-53. “He that is not with me is against me, and he that gathereth not with me scattereth.” Luke 11:23. “AND THERE WAS MUCH MURMURING AMONG THE PEOPLE CONCERNING HIM: FOR SOME SAID, HE IS A GOOD MAN: OTHERS SAID, NAY; BUT HE DECEIVETH THE PEOPLE.” John 7:12. “Much murmuring”, “Some said”, “Others said.” And you know this is still going on today. Who were right, the some who said or the others who said? 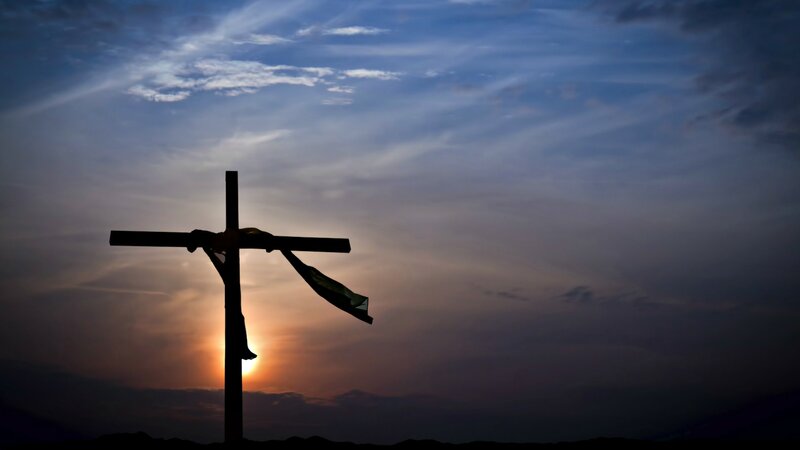 Some said, “Christ is a good man.” Others said, “Nay, Christ deceiveth the people.” Note in Matthew 27:63 that the “others” continued in their attitude toward Christ, “Saying, Sir, we remember that that deceiver said, while he was yet alive, After three days I will rise again.” Matthew 27:63. They called Him a blasphemer, because, being a Man, He made Himself God. John 10:33. Today intelligent Jews join with Christians in declaring that the LORD Jesus Christ was a good Man. How good? Better than all the rest. There was a time when prejudiced and ignor­ant men declared that Jesus of Nazareth was deluded. They said He was not mentally sound, therefore, He made some false claims. But today, intelligent Jews, Christians, and non-Christian Gentiles are all agreed that Jesus Christ was the most intelligent man that ever lived on earth, as well as the greatest human bene­factor that the world has ever known. What is the verdict then? The “some” who said, “Christ is a good Man,” were right. How about the statement of the “others”: “Nay, He deceiveth the people”? Did Christ deceive the people? If Christ really deceived the people, did He thereby prove that He was a good Man? In other words; could a man really be both a good man and a deceiver, especially if he continues month after month, and year after year, to deceive the people? From the beginning of His earthly ministry until His death, and again after His resurrection, the LORD Jesus Christ claimed that He was God manifest in the flesh, that He was in the beginning in the God-Head, that He came down from heaven, that He had glory with the Father before the world was. Christ received worship as God. Christ proved His claim to Deity by His supernatural power, by His miracles, ACCORDING to the Scriptures. If Christ declared that He was God from the beginning, that He had glory with the Father, that He came down from heaven, and if He really was NOT what He claimed, then surely He de­ceived the people. Such a deceiver could not be called a good man. So, we must decide by common sense logic that Jesus Christ was both God and good, OR, He was not God and good. The Modernists who have crept unawares into the Christian church are far more inconsistent than were the Jews who took up stones to kill Christ when He was here on earth. They stoned Him, “because He made Himself equal with God.” John 5:17-20. 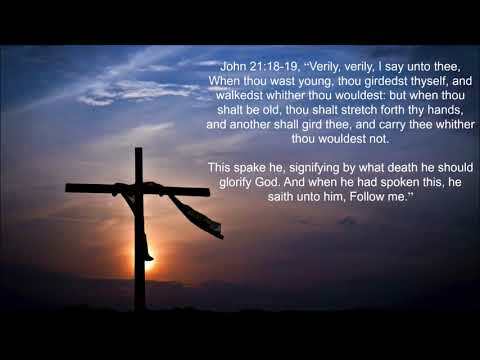 In John 19:7, we learn why they had Christ crucified. Because He claimed equality with God. Pay attention, the foolish MODERNISTS who have slithered in among church members, join with religious Jews in expressing great admiration for the man of Galilee, and dote much on the ideal Man, Jesus, with His ideal philosophy and His interpretation of God and true religion. They eulogize Him, quote Him, praise Him, and preach Him to Jews and Gentiles. But with all this they ever SEEK to make Christ, the Holy Spirit, and all the Apostles, LIARS, by saying that Jesus was a very good man, but that He was not born as the Bible de­clares He was born; that He did not come down from heaven; that He did not have Divine authority to forgive sins. He was not God, the Son. He was not God’s foreordained sin-bearer. His body was not raised from the dead. He is not now the resurrected Jesus at God’s right hand, as the Bible claims. And, that Salvation is not by Faith in the shed blood of the LORD Jesus Christ, but by charac­ter, by good behaviour, by actually imitating Jesus, by trying to live up to the RELIGION of Jesus. THIS is an ABOMINATION to God, and contempt for Christ! Surely you and I agree that these pretenders, who call themselves Modernists, are only Christianized agnostics. They are far less consistent than were the Jews, who in the first century also denied the eternal Deity of the Son of God, and took a decided stand against Him, declaring that He was worthy of death. Note this law of the Jews in Leviticus 24:16, “And he that blasphemeth the name of the LORD, he shall surely be put to death, and all the congregation shall certainly stone him: as well the stranger, as he that is born in the land, when he blasphemeth the name of the LORD, shall be put to death.” If Jesus Christ was not God, as He claimed time and time again, were not the Jews right when they said to Pilate, “Then Jews answered him, We have a law, and by our law he ought to die, because he made himself the Son of God.” John 19:7? Leviticus 24:16 was the law to which the Jews referred when they spoke the words of John 19:7. The pseudo-Christians claim to believe in the historical Jesus. The historical Jesus is the Bible Jesus. So when they decide on the authority of the Bible Record that Jesus was a good man, they must, if intelligent and consistent, acknowledge that by the same Record He was and is God. “JESUS CHRIST THE SAME YESTERDAY, AND TODAY, AND FOR EVER.” Hebrews 13:8. “And he is before all things, and by him all things consist.” Colossians 1:17. Look all about on every side, and see not only nations, cities, and communities divided because of Jesus, but families. If we could only know what is going on in homes where some members of the household are for Christ and some are against Him. Yes, there has been, and there is, a division among the people because of Jesus. In the eternal ages there will be a division among the people, because of Jesus. Some will spend eternity with the LORD and His redeemed in glory. Some will be in perdition suffering the sorrows of the second death. Christ declared, “he that is not with Me is against Me.” Luke 11:23. “Now I beseech you, brethren, by the name of our LORD Jesus Christ, that ye all speak the same thing, and that there be no divisions among you; but that ye be perfectly joined together in the same mind and in the same judg­ment.” 1 Corinthians 1:10. “For ye are yet carnal: for whereas there is among you envying, and strife, and divisions, are ye not carnal, and walk as men?” 1 Corinthians 3:3. “For first of all, when ye come together in the church, I hear that there be divisions among you; and I partly believe it” 1 Corinthians 11:18. “That there should be no schism in the body; but that the members should have the same care one for another.” 1 Corinthians 12:25. “I am the good shepherd, and know my sheep, and am known of mine.” “My sheep hear my voice, and I know them, and they follow me.” John 10:14, and John 10:27. The LORD knoweth them that are His. The good Shepherd knows His sheep. He said, “I am the good shepherd: the good shepherd giveth his life for the sheep.” “As the Father knoweth me, even so know I the Father: and I lay down my life for the sheep.” John 10:11, and John 10:15. “My sheep hear my voice, and I know them, and they follow me: And I give unto them eternal life; and they shall never perish, neither shall any man pluck them out of my hand.” John 10:27-28. The LORD Jesus knows who is saved and who is unsaved. But God wants the believer to KNOW that he is saved, “These things have I written unto you that believe on the name of the Son of God; THAT YE MAY KNOW THAT YE HAVE ETERNAL LIFE, and that ye may believe on the name of the Son of God.” 1 John 5:13. So we learn that the LORD Jesus Christ is the Good Shepherd, the Great Shepherd and the Chief Shepherd. In order to get a better understanding of the progressive revelation of The Mystery given to the Apostle Paul by the Risen Christ, it is SUPER IMPORTANT to lay out the correct timeline of Paul's Ministry. So, let's begin. 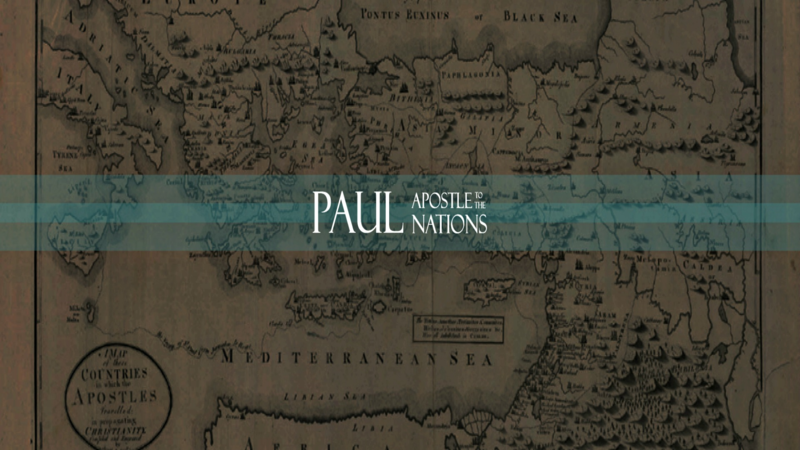 The Apostle Paul was saved in Acts 9 when Christ appeared to him on the road to Damascus. Paul would go on to write 13 books in the New Testament (from the Letter to the Romans to the Letter to Philemon). When we remember that the Apostle Paul is the subject of at least half of the Book of Acts, we realize that half of the 27 books in the New Testament are either about him (The Book of Acts) or were written by him (13 Books). The Apostle Paul's letters are arranged in The Bible two ways: The letters to the churches are put first, nine letters from Romans to 2 Thessalonians, then the four letters written to individuals, from 1 Timothy to Philemon. The letters are also arranged by length, Romans is longest and is first, then the Corinthian letters, then Galatians, etc. Longer letters are first, shorter ones later. However, in order to get a better understanding of the progressive revelation of The Mystery given to the Apostle Paul by the Risen Christ, we need to read the Apostle Paul's letters in the order that he wrote them. When we arrange the letters in the order that they were written, all becomes clear! The first 6 of Paul's letters can be fit into the Book of Acts. Therefore, we can read the Book of Acts and then read the Apostle Paul's letters and we can see where Paul was when he wrote these letters. In Acts 13-14 Paul and Barnabas went on their first apostolic journey which took them into Galatia, with cities like Antioch, Lystra, Derbe, etc. Soon after Paul returned from this journey he wrote the letter to the Galatians (see Galatians 1:6 where Paul writes to the Galatians and says, you are "so quickly turned."). Galatians was written soon after Paul returned from that first journey, therefore, soon after Acts 14:27. That makes Galatians the earliest of Paul's letters. The next letters the Apostle Paul wrote are the two letters to the Thessalonians. In Acts 17, Paul, on his second apostolic journey, came to Thessalonica and preached there. Many were saved, but Paul was driven out of town. Paul continued on to Corinth where he wrote the two letters to the Thessalonians. Timothy's return from Macedonia mentioned in Acts 18:5 is also reported in 1 Thessalonians 3:6. And in 2 Thessalonians 2:5 Paul reminds the Thessalonians of his teaching, as if it had not been very long since he had been with them. So the writing of 1 Thessalonians and 2 Thessalonians can be placed into Acts 18 during the Apostle Paul's ministry in Corinth, and that makes them the second and third letters that Paul wrote. The next two letters that the Apostle Paul wrote are the two letters to the Corinthians. In Acts 18 Paul spent a year and a half ministering in Corinth (Acts 18:11). Also, while here with the Corinthians, I believe the Apostle Paul was led by the Holy Spirit to pen the Book to the Hebrews, but that is another message. Back on point, Paul later returned to his home base at Antioch (Acts 18:22), and later in his third apostolic journey he arrived in Ephesus (his ministry in Ephesus extends all the way through Acts 19, a period of more than two years, see verse 10). It is here in Ephesus, during Acts 19, that Paul wrote 1 Corinthians (1 Corinthians 16:19). Shortly after that the Apostle Paul traveled to Macedonia (Acts 20:1, and 2 Cor. 2:13) and that is where he wrote 2 Corinthians. In Acts 20:2-3 Paul arrived in "Greece," actually Corinth again, and spent three months there enjoying the hospitality of a believer named Gaius, mentioned in 1 Corinthians 1:14. 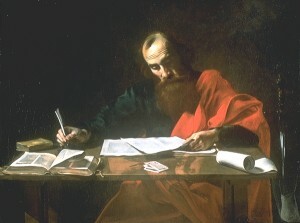 In Gaius's home, in Corinth, the Apostle Paul wrote the letter to the Romans (Rom. 16:23). This is the last letter written during the Book of Acts. In Acts 21:33, the Apostle Paul was arrested in Jerusalem, and would spend the next 5 years in prison, right through the end of the Book of Acts. So, so far, from Acts 9-Acts 28 we read of the earlier ministry of the Apostle Paul and find that during these years he wrote 6 of his 13 letters. Once again, for those not really paying attention…lol, the order of these first six books is: 1) Galatians (end of Acts 14), 2) 1 Thessalonians (Acts 18), 3) 2 Thessalonians (Acts 18), 4) 1 Corinthians (Acts 19), 5) 2 Corinthians (Acts 20),6. Romans (Acts 20). In Acts 21 Paul was arrested and remained a prisoner through to Acts 28, and beyond. Shortly after the end of the Book of Acts, while he was still a prisoner, now in Rome, Paul wrote four letters, the "prison epistles": Ephesians, Colossians, Philemon and Philippians. In each of these letters he writes of his "chains" (Ephesians 6:20, Colossians 4:18, Philemon 13, and Philippians 1:13). The Apostle Paul was released from this imprisonment and continued his ministry for a few years, maybe 3 years. During this time he wrote the three letters known as the "Pastoral Epistles," because these letters were written to the Apostle Paul's co-workers…Pastor Timothy and Pastor Titus. At the end of his life he is again in prison. This time he anticipates being beheaded for the Lord and writes the last letter, Second Timothy. Now let's proceed to our Bibles and READ the epistles in the order the Holy Spirit wrote them by the hand of the Apostle Paul. There have been few dramas that can equal the story of the Exodus. 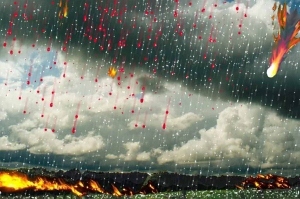 Yet while most Christians are familiar with the events of Passover, few of us are probably aware of the significance behind the other nine plagues. Each of the nine plagues targeted specific ancient Egyptian gods, they were part of an invisible cosmic war against the devils of darkness. 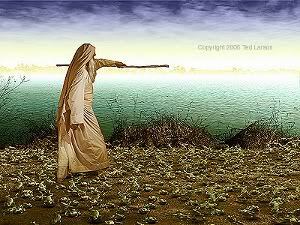 The plagues were a powerful and dramatic demonstration of the supremacy of the true and living God of Abraham and Moses. To better appreciate what was going on, we must examine the numerous gods of the river: Osiris, one of the chief gods of Egypt, was first of all the gods of the Nile. He, with his companion, the mother god, Isis, and their child, Horus, were human-headed gods (in contrast to the many that had heads of birds, beasts, and reptiles). There were other gods of the Nile, too: Hapimon in the north, and Tauret at Thebes, and the hippopotamus goddess of the river. There was also Nu , the god of life in the Nile. The supernatural pollution of the waters of the land were a humiliation to the gods the Egyptians worshiped. The third of the judgments on Egypt came out of the soil in Egypt. The Hebrew word ken, is translated "lice" in our English translation, with "sand flies" or "fleas" in some marginal notes. 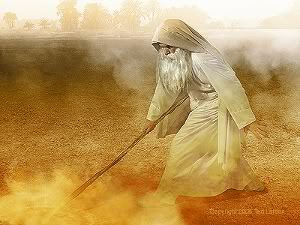 The Hebrew word comes from a root meaning to dig; it is probable that the insect was one which digs under the skin of men. This was an embarrassment to their great god of the earth, Geb, to whom they gave offerings for the bounty of the soil. Also the presence of the fleas or lice were a barrier to their officiating in their priestly duties! 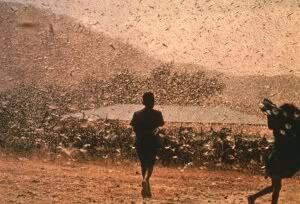 The fourth of the plagues were "swarms" ("of flies" is not in the original). The word is `arob, a swarm, possibly suggesting incessant motion. The deification of the scarab beetle is still conspicuous – even today – in the jewelry and artifacts celebrating ancient Egypt. Amon-Ra, the king of the gods, had the head of a beetle. Some of the giant scarabs were even accorded the honor of mummification and entombment with the Pharaohs. This is particularly bizarre since the scarab is actually a dung beetle. The insect is about the size of a nickel and feeds on dung in the fields or the side of the road. When animals defecate, these insects swarm from their holes in the ground and collect their provender for future meals by forming it into round balls about the size of golf balls, which they roll across the ground to their underground dwellings. Since they seemed to "come from nowhere," and perhaps because these perfectly round balls were possibly associated with the sun, these beetles became associated with creation. The plague was a "murrain," a contagious disease among the cattle, and even the sacred bulls in the temple died. Other domestic animals were sacred also, and their images adorned many of the idols, such as Bubastis, the cat goddess of love, feminine matters and fashion, etc. 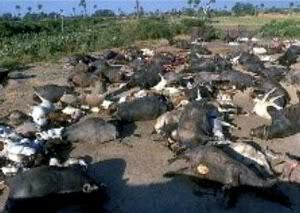 (The veneration of cows still creates a sight in India, when cows appear on the streets and even in stores and shops.) The cattle of the Hebrews, of course, were not touched. The sixth wonder was manifested against the bodies of men. The plague of shechiyn, translated "boils”, may hide something more terrible. The root means "burning”, and the same word can be translated as leprosy, and as the Egyptian botch, which was declared to be incurable. "I have sinned this time: the Lord is righteous, and I and my people are wicked. 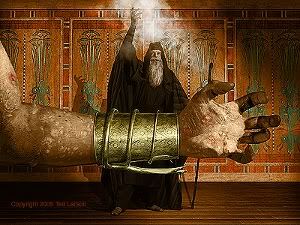 Intreat the Lord that there be no more mighty thunderings ["voices of Elohim"] (Exodus 9:27, 28)." "But when Moses said that what he desired was unjust, since they were obliged to offer sacrifices to God of those cattle, and the time being prolonged on this account, a thick darkness, without the least light, spread itself over the Egyptians, whereby their sight being obstructed, and their breathing hindered by the thickness of the air, they were under terror lest they be swallowed up by the thick cloud. 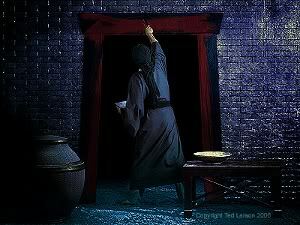 This darkness, after three days and as many nights was dissipated." And then in Exodus 10:22-23, "And Moses stretched forth his hand toward heaven; and there was a thick darkness in all the land of Egypt three days. They saw not one another, neither rose any from his place for three days: but all the children of Israel had light in their dwellings." And, of course, the well-known tenth and final plague was the death of the firstborn – on those homes not covered by the lamb’s blood on the doorposts or lintels. We all know the story of the Passover in Egypt, remembered by the Jews to this day. And, of course, Ya-Hweh Yahuwshua, The LORD Jesus Christ, is our Passover: John the Baptist introduced Him twice as "The Lamb of God." The invisible war goes on. These same devils are worshiped today. 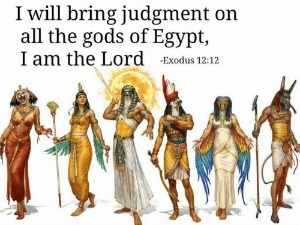 The Scriptures tell us that we become like the gods we worship. 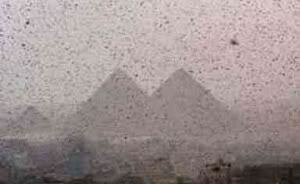 Visit Egypt today and when you leave Cairo you will see villages living on dung hills. And this is not a typical "third world" country: it once ruled the known world! If you worship the world, you, too, will become materialistic, harsh, and unforgiving. You will become like the gods you worship. But if you worship Ya-Hweh Yahuwshua, The LORD Jesus Christ, who loved us and gave himself for us, you will become more like Him! 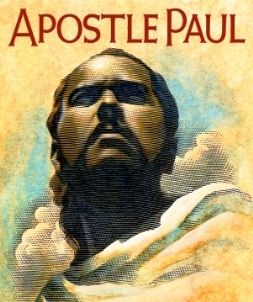 The Apostles trained their disciples to respect Paul very highly, as evidenced in the extant writings of Polycarp, Clement, etc. So, the argument is really about who is more credible, the Apostles and their disciples or these accusers 2000 years removed? These Anti-Paul loons...They only reveal their ignorance. Read Polycarp's (disciple of John) letter to the Philippians. Also, Irenaeus (disciple of Polycarp) canonized the writings authorized by the Apostles through their disciples in 180 AD and Paul's writings were included. Many Christians have been puzzled as to just what the LORD's messengers meant when they delivered the LORD's message to the shepherds 2000 plus years ago, "Glory to God in the highest, and ON EARTH PEACE, good will toward men." (Luke 2:14). Now, take note...This is so entirely contrary to the words of the LORD Jesus Christ about 33 years later..."Suppose ye that I am come to give PEACE ON EARTH? I tell you, NAY; but rather DIVISION." (Luke 12:51). 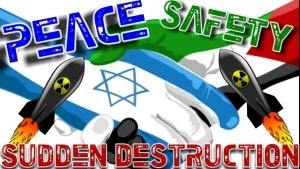 "Peace on earth" and "no peace on earth" are contradictory statements. DIVISION is not PEACE. Could it be that the heavenly messenger gave out a false message like the false prophets of Jeremiah 6:14, "Peace, peace, when there is no peace?" Don't be silly! And then some years after Christ went back to heaven He led the Apostle Paul to warn Christians not to be deceived when certain messengers cry "peace and safety," for there would be destruction instead of peace. (1 Thessalonians 5:1-5). And in Revelation 6:1-6, we learn positively, that before Christ comes to establish PEACE ON EARTH something big will happen..."And there went out another horse that was red: and power was given to him that sat thereon TO TAKE PEACE FROM THE EARTH, and that they should kill one another: and there was given unto him a great sword." (Revelation 6:4). 1 - PEACE on earth with Christ on David's throne. 2 - PEACE made on the cross. 3 - PEACE with God through Christ. 4 - The PEACE of God that passeth all understanding. 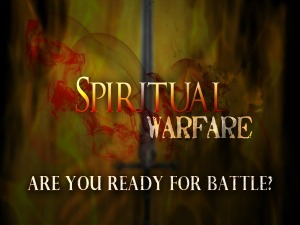 We are currently engaged in some of the most cruel, and brutal, types of warfare of all ages. We are all sick and tired of war. We want peace on earth. But CHRIST is the center of every "PEACE" program of God. The statesmen and politicians insist that we will have to compromise, sacrifice, be tolerant, and diplomatic and gracious, with a new international spirit, if we are to maintain the peace which we are now trying to win. And even then they are more skeptical than hopeful. The Apostle Paul wrote to some Faithful Christians, "Christ is our PEACE." (Ephesians 2:14). It was at the time Gabriel announced that the purpose of Christ's birth was to take David's throne and reign over the house of Israel, that the heavenly messenger announced "PEACE ON EARTH." (Luke 1:30-33; Luke 2:14; Luke 1:67-77). Christ's own nation did not know the things that belonged to their PEACE. (Luke 19:42). They knew not the time of their visitation. (Luke 19:44). They said concerning Christ, "we will not have this man to reign over us." (Luke 19:14). 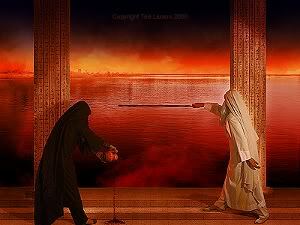 They chose to release Barabbas, the notable criminal, and kill the Prince of life. (Acts 3:12 to 15). They cried, "we have no king but Caesar," "let the blood of this man (Jesus), Who claims to be the King, be upon us." (Matthew 27:21 to 25 - John 19:15). It is still there. Well, of course, Christ did not go to David's throne: but HE WILL. (Acts 15:15-18; Isaiah 9:6-7; Ezekiel 37:24-28). So Christ said, instead of universal peace, there will be division, tribulations, wars, famines. HOWEVER, Peace...for BELIEVERS only. (Luke 12:49-52; John 16:33; John 14:27; Luke 21:24-33). Instead of going to David's throne to take over the government, Christ went to Calvary. He made PEACE through the blood of His cross. (Colossians 1:20). PEACE on earth was postponed. There is now NO world-wide peace on earth for lost sinners. Their future is NOT PEACE but wrath and misery. Eternal perdition awaits all who refuse to BELIEVE on the LORD Jesus Christ and receive Him as not only your Saviour, but LORD of your life. An interesting little tid-bit is that quite often in the cemetery on the stone over the sinner's grave, the word "PEACE" is carved. Therefore, note how "PEACE WITH GOD" comes..."Therefore being justified by Faith, we have 'PEACE WITH GOD' through our LORD Jesus Christ." (Romans 5:1). There is NO OTHER WAY to be at peace with God. But, this IS the sure guarantee of peace. Then the PEACE OF GOD, "which passeth all understanding, shall keep your hearts and minds through Christ Jesus." (Philippians 4:7). In closing, note carefully 1 Thessalonians 5:1-4, "But of the times and the seasons, brethren, ye have no need that I write unto you. For yourselves know perfectly that the day of the Lord so cometh as a thief in the night. For when they shall say, Peace and safety; then sudden destruction cometh upon them, as travail upon a woman with child; and they shall not escape. But ye, brethren, are not in darkness, that that day should overtake you as a thief."